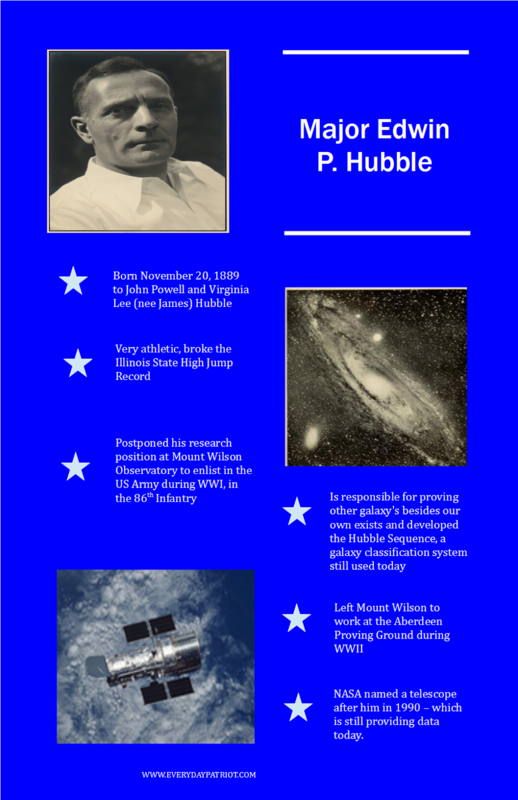 Major Edwin Powell Hubble was born November 20, 1889, in Marshfield MO, to John Powell and Virginia Lee (nee James) Hubble. He loved science fiction books, his favorite being 20,000 Leagues Under The Sea. Athletic, he broke the Illinois State High Jump record in High School. Went to the University of Chicago, graduating in 1910. Moving on to Oxford, he graduated in 1913, after studying philosophy and received his Jurisprudence. Returning to the University of Chicago, he graduated with a doctorate in Astronomy. 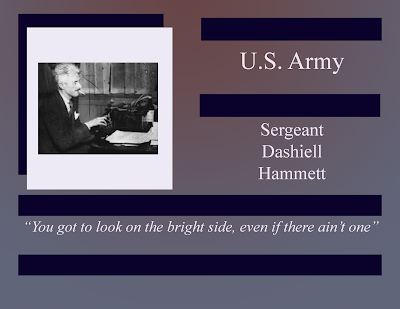 He postponed a position at the Mount Wilson Observatory, which contained the worlds largest telescope, to enlist during WWI, obtaining the rank of Major in the 86th Infantry. He was deployed in September 1918, returning August 1919. 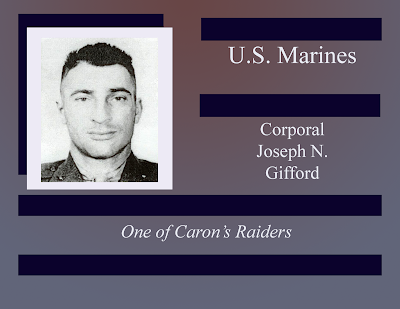 The 86th Infantry remained near Bordeaux and never saw combat. After his discharge, he worked at the Mount Wilson Observatory until 1942. 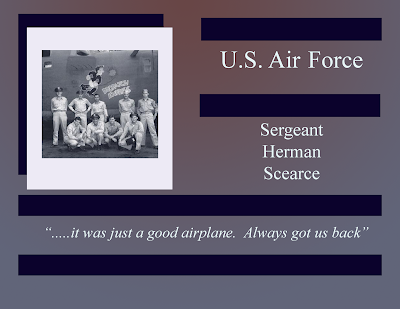 He left to work at the Aberdeen Proving Ground during WWII, (as a civilian). 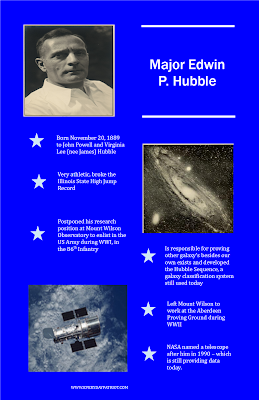 After the war Major Hubble returned to California, researching at both the Mount Wilson Observatory and the Palmer Observatory. His scientific accomplishments were proving that other galaxies exist out of the Milky Way and with Milton Humason provided the groundwork proving that the Universe is expanding and the Big Bang Theory. (Despite my readings with Andrew Thomas, I couldn't understand it well enough to summarize it).